Serene is a feminist philosopher living in Brooklyn, New York. She enjoys picking up heavy things and putting them down again. If there’s anything I’ve learned from the sport of powerlifting, it’s to admire grit. Yes, feats of strength are inspiring. But what lifters know from the inside is that behind any feat of strength are hundreds or thousands of hours punching the clock. Progress doesn’t usually come fast or at a rate we can predict. We fail, a lot. But we learn that we have to come back anyway. Grit matters in life more than it matters on the platform, which is why I’m lifting in the Iron Maidens Raw Open next week to raise money for the Grace Outreach Iron Maidens Stay Strong Scholarship. The Stay Strong Scholarship, unlike traditional scholarships that focus on achievement, rewards perseverance in the face of adversity. The scholarship assists women in the South Bronx who face barriers to college continuation because of documentation status or experience with predatory lenders. 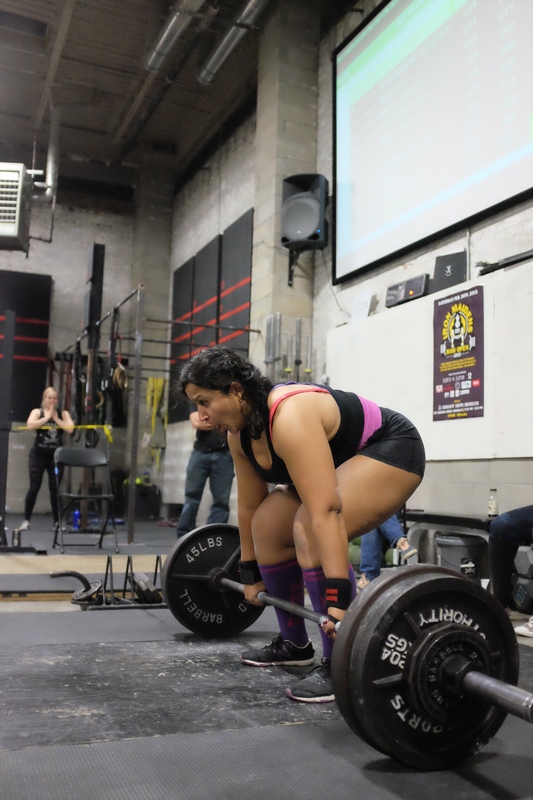 Last year, I placed first my in weight class in this unique women-only powerlifting meet, by lifting a combined total of over 800 lbs in the Back Squat, Bench Press and Deadlift. I’m hoping to raise more than $800 this year to support the Stay Strong Scholarship. If you’d like to donate to help me reach my $800+ goal, click here.